Hopefully you guys can help me out on my issue since I haven't been able to find anyone else with this issue searching online. 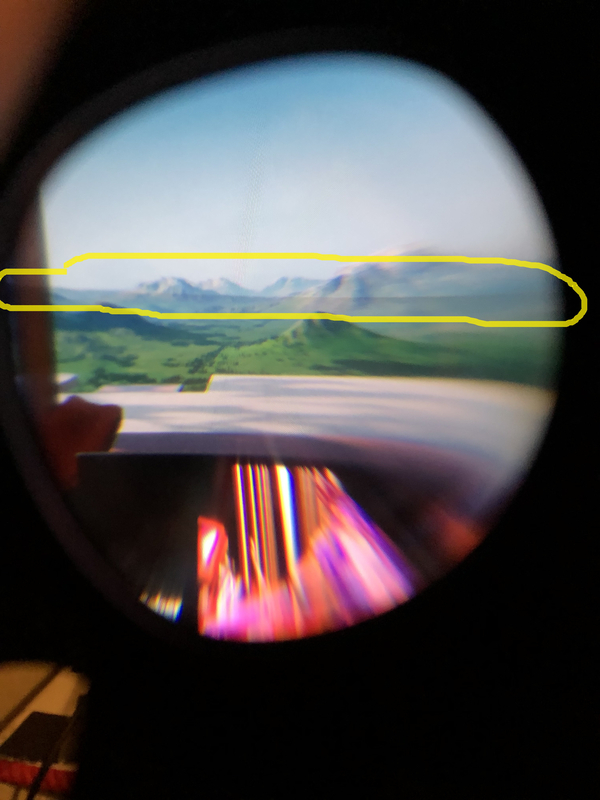 Anyway I recently purchased a new Oculus Rift last week and ever since I started using it I have had this issue with the right lens where in the middle of the lens there is a horizontal line that splits the color of the image. Above the line the image is a little lighter and below the line is a little darker. One thing to note however is this line/image split goes away and works fine when I tried it on my girlfriends computer. However when I tried swapping graphics cards into my computer the problem continued. I know the issue isn't with the Oculus itself since it works fine when I tried it with my girlfriends computer and it worked fine. A side note my girlfriend and I have the exact same graphics card. Any help on this issue will be greatly appreciated.